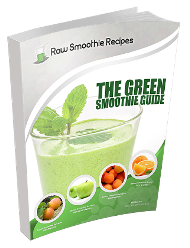 How can a raw and green smoothie be sweet without added sugars? As with any recipe, it’s all in the ingredients! 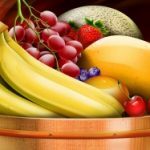 The first step to a no-sugar added meal plan is removing added sugars (both natural and refined sugars are considered added sugars like high fructose corn syrup and refined sugar). The next step is to eliminate natural sugars, for example: honey, maple syrup, agave nectar, and fruit juice concentrate. 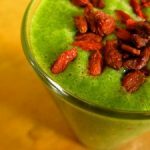 Once my palate became accustomed to a no-sugar added smoothie, I found that the fruits in my green smoothie recipes usually have enough sweetness all on their own. Sometimes however, my sweet tooth does have me craving an extra dose of sweetness. 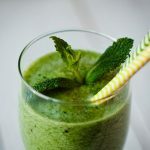 This then led me to discovering a Honeybush Green Smoothie Recipe that will be sure to conquer your sweet cravings and cool you down on a hot summer day! Indigenous to South Africa, Honeybush is a roobios, or shrub tree. When the leaves are dried and then steeped in hot water, it produce a sweet tea-like beverage. Honeybush, like most roobios, is treated as a tea alternative. It has a subtle honey flavor (without adding the natural sugars from honey!) Although it is made from a simple herbal infusion, Honeybush is naturally lacking in caffeine. Adversely, the health benefits of Honeybush include a mild sedative effect, which helps eliminate nervousness and anxiety. 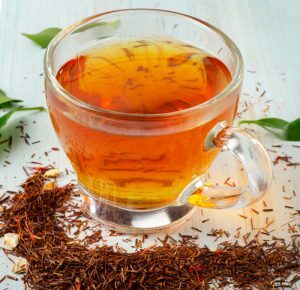 Low levels of tannins minimize the astringent properties associated with black and green tea. 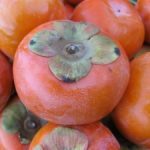 The overall calming influence and natural sweetness of Honeybush makes this an ideal ingredient to any green smoothie. 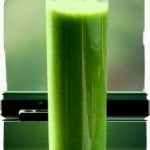 Fortunately, incorporating Honeybush into any green smoothie is simple. So for any recipe that calls for added liquid (water, coconut water, almond milk, etc) I will change up the flavor by substituting sun brewed Honeybush. To sun brew Honeybush, place the organic leaves in a gallon of filtered water. Leave in the sun to brew for 6 to 8 hours. As a result, the sun will naturally brew the tea! After brewing and chilling my Honeybush Tea, I can add it to any smoothie. Honeybush adds a sweet flavor boost without added sugars. 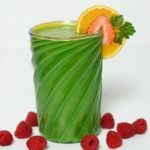 Try my summertime special, Honeybush Green Smoothie Recipe. Prepare sub brewed Honeybush Tea and chill. For a thicker consistency, pre-slice the bananas and freeze. For an extra thick smoothie, cut mangos into chunks and freeze before as well. Place all ingredients in a blender. Blend until desired consistency, adding more chilled Honeybush as necessary until you reach your desired consistency.